Another side to this was Steven Spielberg, known at the time for "Jaws" and "Close Encounters of the Third Kind" was brought in to see if he as interested in doing it, but due to prior obligations he couldn't because he was about to make the movie "1941" and the Alien script was known to be in a state of turnaround. This was at a time when Star Wars had come out and Fox wanted to make another film that was going to make money on the same scale. Alan Ladd was there to talk to Spielberg. Laddy said to Spielberg "Spielberg what do you think of this script? I put it in turnaround, my executive said it’s too expensive. 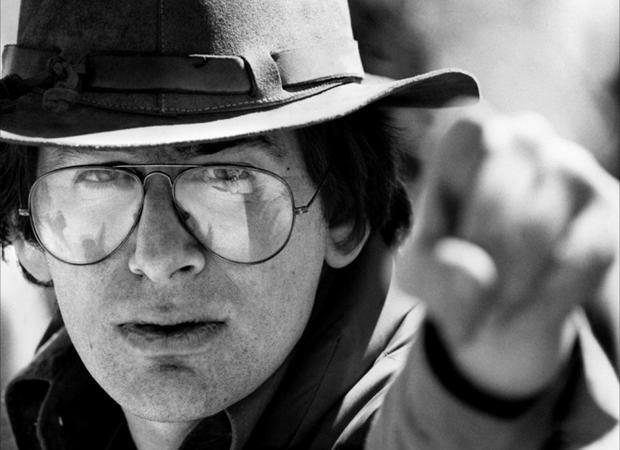 If you could do it as well as Star Wars "
Spielberg read it and said "My God, you put this in turnaround? You’re crazy. This is one of the greatest scripts, an all time classic movie." Then he added "You’re crazy if you don’t make this movie! It’s gonna make a fortune, I can’t do it myself cos I’m so heavily committed. I don't want to do three science fictions in a row. You wanna wait for me, it'll be three years"
Laddy's response was "No, we can't do that. You're right, it's that good. By then somebody'll come up with a similar thing and we have to do it now"
Spielberg responded. "Okay, forget about it, I can't do it, but don't pass on the movie, Laddie get it back." Laddie sent a telegram to Shusett that said "Do not sell Alien. Changed our minds, $50,000 follows. Relight movie immediately"
Shusett once he received it said "Jesus , what happened? I guess they got a star director or something." 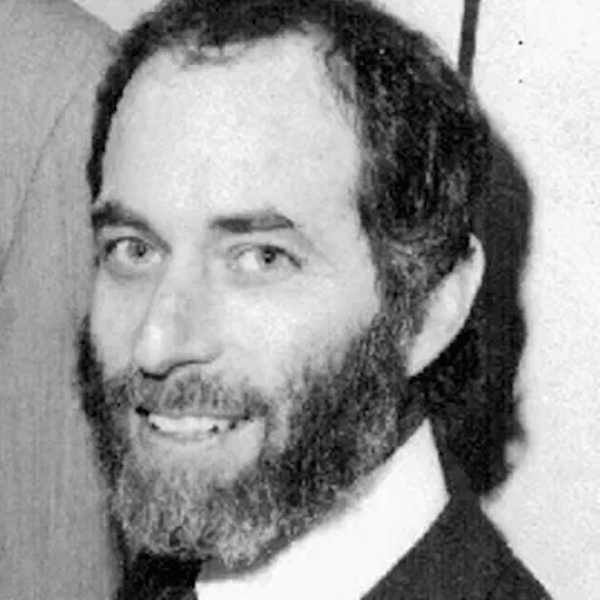 Sandy Lieberson had left film producing which he had done for nine years, he had been David Puttnam's partner in producing "Melody" (1971) and "That'll be the day" (1973) and through David Puttnam he would know Ridley Scott who was directing the Puttnam produced "The Duellists". He took on a job at 20th Century Fox as Vice President in charge of production and marketing for mostly outside United States and primarily in Europe and the first thing he did when he went to work for Fox was of course go to Los Angeles to meet the other executives. He knew them but not very well, and what he would do was to trawl the hallways of the Twentieth Century Fox asking for projects that could be done in Europe. The second floor was where all of the producers, directors, and the writers had offices. He knew the likes of Mel Brooks and Paul Mazursky and down the hall from there was a company called Brandywine. Sandy knew Walter Hill, David Giler and Gordon Carroll. Walter Hill had directed the Charles Bronson movie Hard Times that had done well in the box offices and had written some Paul Newman movies, and also Sandy was aware that he had written some Clint Eastwood westerns. He asked them his questions finding out what they were doing and what they were developing and as he would say with all of them, "Is there anything we could make in Europe, particularly in England?" And so they said "Listen we got this script called Alien." "Well" replied Sandy "Let me read it, I'll take it away"
Sandy took away twenty or thirty scripts with him. He took a look at the Alien script on the plane and the first thing he saw was the name on the script, Dan O'Bannon, and it just so happened that he had seen Dark Star. He found himself saying "Ah, Dan O'Bannon, he wrote Dark Star for John Carpenter. That sounds interesting already. Dark Star was John Carpenter's first film. It was a science fiction movie and it was wonderful." He thought that Dan O'Bannon having worked with Carpenter was a terrific sign, and so he read the script, "Okay, This is fantastic. This is really the horror movie set in space. And so we're working with two genres, the horror move genre and the science fiction genre," and it was perfect as something that could be done in the UK. He saw how he could market it, at that point the script was part of a package with a director and producer and indeed a Fox project. and so got back to London and he called Walter Hill and told him "Okay, I'm going to recommend this to Twentieth Century Fox"
He took the matter to Alan Ladd Junior, over the phone they discussed it. saying "Listen I've just read Alien, we can shoot this in London, we can make it at a reasonable cost"
However, there was still some doubt about it at the time he talked since when it went through the weekend read, it still required rewriting and finding the right director. From Alan Ladd's side the words coming over were "Well, we're not sure about this script, we've had this for a long time, it would make a very expensive movie. We're not really sure about it"
It was then up to Sandy to budget the film which so he could present the whole thing to Alan Ladd Jr, they discussed it further. Sandy flew out to LA when they agreed "Yes let's do it" and so the project was green-lit. (slightly rough transcription and if you listened to the talk on youtube, you would see why ` problem should arise) Sandy Lieberson: I know that Fox didn't hire me just to supervise just the marketing, erm, but they wanted me to put films into production in Europe and so I knew I had to find something very quickly and I organised a trip to Los Angeles and to Fox. It was a great Studio, it still is. In the middle of Beverly Hills, beautiful huge lot with writer's bungalows, trees and (art-ism? ), very pastorial, completely marvelous, and I went up there into the hallways of Fox, and introduced myself so say that now I was a vice-president of Fox in London, and I'm looking for projects to do there. And one of the places I visited was a company called Brandywine and I knew the director um Walter Hill and he had done a very good film for Fox, I knew he had written some of the Clint Eastwood westerns, and he was attached to direct the film of Alien, but the film had languished for four years at Fox. The problem was that they needed the initiative to make the film so I said "give me the script", I took the script and I went back, um, on the plane, the first thing I saw was the name on the script, Dan O'Bannon. I said "ah Dan O'Bannon, he wrote Dark Star for John Carpenter. Dark Star was John Carpenter's first film. It was a science fiction movie and it was wonderful." I thought it was a terrific sign that John had Dan O'Bannon. and I read the script, "okay, This is fantastic. This is really the horror movie set in space. And so we're working with two genres, the horror move genre and the science fiction genre, and I got back to London and I called the producer and er Walter Hill and I said "Okay, I'm going to recommend this to Twentieth Century Fox"spoke to my colleagues, "well, we're not sure about this script, we've had this for a long time, it would make a very expensive movie We're not really sure about it"
And "I said listen, I think you know,Why would you want me , I'm not a major studio sort of person, I've always produced films that, many of them were moderately successful, but they weren't part of the mainstream kind of film making"
you write "He [Sandy Lieberson] saw the name Dan O'Bannon who he knew about already from his work from John Carpenter's Dark Star" but you don't mention the source. Is it "Alien Makers 2, documentary" ? Okay, thanks for that, I've transcribed the beginning of the interview now for the source quotes. And thanls again for your blog ! This page now has been broken up so that the paragraph about the other directors approached is to be found on its own page linked from "Ridley Scott comes aboard" page linked at the very top, and the material about Ridley becoming involved has been moved to "Script out of the blue" linked from the same page and I don't know how long that latter named page will continue to have that name.